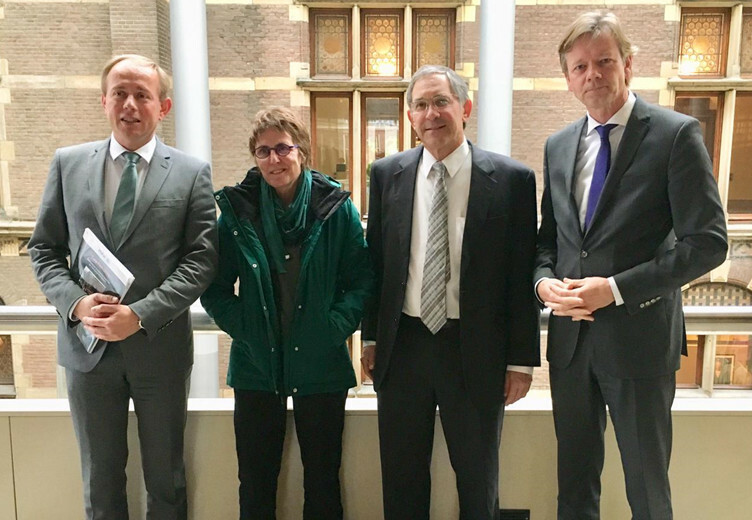 Palestinian Media Watch director Itamar Marcus spoke to members of Dutch Parliament yesterday documenting the many ways in which the Palestinian Authority in itself is the fundamental impediment to peace. Marcus documented PA’s vicious Antisemitism, its indoctrination of children to hatred and terror, as well as the PA's continued monthly payments to terrorist prisoners and families of killed terrorists. Members of Dutch Parliament expressed their condemnation of these PA activities and discussed steps that should be taken to stop the funding by their own government. The MPs were also addressed by Kay Wilson, a British-born Israeli tour guide who survived a brutal terror attack in 2010. Kay was bound, gagged, and stabbed 13 times with a machete and left for dead, while her Christian friend, Kristine Luken, was murdered. MP Joël Voordewind: “We’ll try it again; we’re now part of the government, part of the coalition, so we’ll try to convince other coalition parties to support this resolution now." MP Joël Voordewind, Christian Union: “That’s right. We’ll try it again; we’re now part of the government, part of the coalition, so we’ll try to convince other coalition parties to support this resolution now."